The selection committee made one of the most surprising decisions in recent memory by throwing the Tulsa Golden Hurricane of the American Athletic Conference in the field. The Monmouth Hawks, South Carolina Gamecocks, and St. Bonaventure Bonnies were all shut out. Did the committee handle all cases well? The NCAA Tournament has been criticized in the past for rewarding mediocre power conference schools over mid-major teams. Last year, this was evident in the selections of the UCLA Bruins and Texas Longhorns as 11 seeds. For the UCLA Bruins, they took advantage of their redemption after an up-and-down year, jumping to the Sweet Sixteen. However, the committee's selection of Texas backfired as the Big 12 squad was blown out in the round of 64. In 2016 March Madness, we will have another group of surprise picks to evaluate. 10 seed Syracuse and 11 seeds Vanderbilt, Michigan, Wichita State, and last but not least, Tulsa squeaked into the tournament, much to the chagrin of bracket analysts. Some of these selections will be justified, but others will blow up in the committee's face. Quality teams like the Monmouth Hawks, South Carolina Gamecocks, St. Bonaventure Bonnies, St. Mary's Gaels, Valparaiso Crusaders, and San Diego State Aztecs were shut out from the tournament. 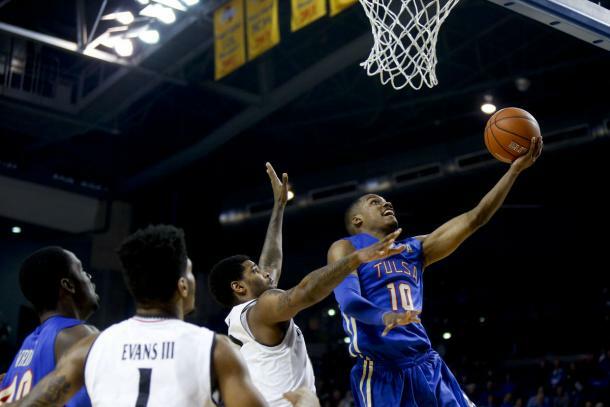 How In The Name Of Frank Haith Did Tulsa Get There? In a shocking move, the selection committee placed the Tulsa Golden Hurricane of the American Athletic Conference in the field of 68. They were one of the last 4 teams picked. In defense of the Golden Hurricane: Frank Haith, former head coach of the Missouri Tigers, did have this team as a bubble team almost all year. Just a month ago, many analysts had them in the field after picking up their biggest win of the season at Southern Methodist. Tulsa held a decent non-conference schedule, facing off against tourney-goers Arkansas-Little Rock (L), Iona (W), Oregon State (L), and Wichita State (W). Although Oklahoma State had a poor season, Tulsa made a statement by defeating the Big 12 school. Overall, Tulsa won 4 games over Top 50 squads. However, the team had a poor end to the season as they lost to NIT-bound Memphis twice in the past two weeks, once in the regular season and once in the AAC Tournament. Memphis won the game in the tournament by 22 points. Tulsa went 4-4 in the AAC against teams that made the NCAA Tournament (or would have made the NCAA Tournament like SMU). If Memphis would have won the whole tournament, the Golden Hurricane would have undoubtedly been kicked off the Tournament roster of squads. One thing that can be learned from this selection is how much the committee valued a win at Southern Methodist. Tulsa's win at SMU was the only time the Mustangs lost in Dallas all season. Had the Mustangs been eligible for the NCAA Tournament, we could have seen them as high as a 3 seed. That was the deciding factor in Tulsa's admission. So, we can not discredit Tulsa as completely undeserving of consideration. Although these selections are being roundly criticized, all five were accepted into the NCAA Tournament for valid reasons. Syracuse was projected by many as outside the field, but they surprisingly rose to a 10 seed. They had one of the most unique records of any bidders. Head coach Jim Boeheim was out for the beginning stretch of ACC games, a time when the Orange lost 4 in a row. The committee clearly viewed the legendary coach's absence as they would a player's injury, and they essentially excused Syracuse for the losses (3 out of the 4 were to NCAA Tournament teams). Syracuse also owned bad losses with Boeheim at the helm, to Georgetown, St. John's, and Florida State. But those losses were mitigated by wins over Connecticut, Texas A&M, Duke, and Notre Dame. It is still surprising Syracuse made it in, and even more surprising that they weren't a part of the last 4 selected. However, the committee has justifiable reasons for the decision. Vanderbilt's admission is also understandable due to their strong SOS. Although they went 8-5 in their non-conference schedule, they went up against the likes of Kansas, Texas, Baylor, Purdue, and Dayton (all losses). 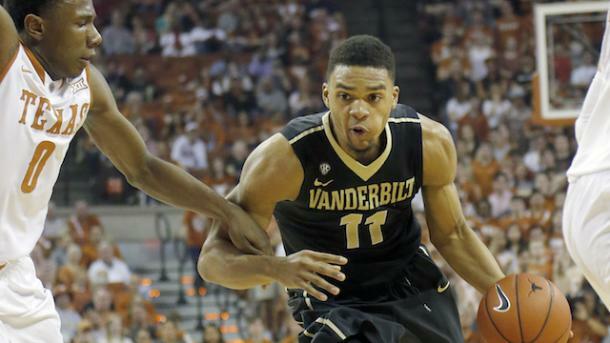 Along with the strong schedule, Vanderbilt caught some fire in the SEC by beating both Texas A&M and Kentucky once. The Michigan selection was very tough for the committee, but their SOS also pushed them over the top. In the non-conference schedule, the Wolverines played Xavier, Texas, UConn, and SMU. All were losses, but they were helpful to the all-important strength of schedule. Michigan was up-and-down in Big Ten play, but wins over the conference's best teams (Maryland, Purdue, and Indiana) were enough to validate the selection by the committee. Wichita State just barely squeaked in after their disappointing year, but once again, their strong SOS put them over the top. A non-conference schedule with the likes of Tulsa, USC, Alabama, Iowa, Seton Hall, and Utah (the only win of those 6 games, but a major resume booster) gave the committee some happiness. Their only bad loss of the year was to Illinois State, and the Redbirds were 2nd in the Missouri Valley Conference regular season. The Saint Mary's Gaels and Valparaiso Crusaders nearly swept their schedules, and they both had few bad losses. However, the lack of substantive big wins killed their bids. The Gaels had one of the best RPIs of the teams snubbed, and their beef is understandable. But when you see that their best non-conference win was against Cal State-Bakersfield, you begin to see why the committee disallowed entry. The Moraga, California natives did play NCAA Tournament 4 seed California in the non-conference, but they fell in a tight game. The Gaels were riding on two huge wins over Gonzaga in WCC conference play. But, the committee gave Gonzaga, the WCC Tournament winner, a lowly 11 seed. So, it's clear that the committee did not regard the Gonzaga wins as high as bracketologists. As for Valparaiso, they enjoyed big wins over NCAA Tournament-goers Oregon State (on the road) and Iona in their non-conference schedule. They also stuck with the Oregon Ducks, falling by 6 points on the road. However, the committee was dissatisfied with Valpo scheduling games against non-Division 1 members Indiana-Kokomo and Trinity (IL). Coupling the lack of truly big-time competition and losses to Wright State (twice) and Belmont, the committee didn't pull the trigger on the Crusaders. The committee took the most flack for snubbing these three teams. All attained some big wins and played tough competition. However, all of these teams suffered from some bad losses. Monmouth undoubtedly had the most impressive wins of those lacking tournament invites, and most road games. With 23 total road matchups, the Hawks won 15. Monmouth beat UCLA in Los Angeles, Notre Dame and USC at the Advocare Invitational, and Georgetown in D.C. But the problems in Monmouth's bid started to add up. The UCLA and Georgetown wins were quality at the times, but both storied programs fell apart this season and ended with records below .500. Most importantly, however, were Monmouth's losses to Canisius, Army, and Manhattan. The losses to Canisius and Manhattan were, in particular, killers toward the Hawks' bid. 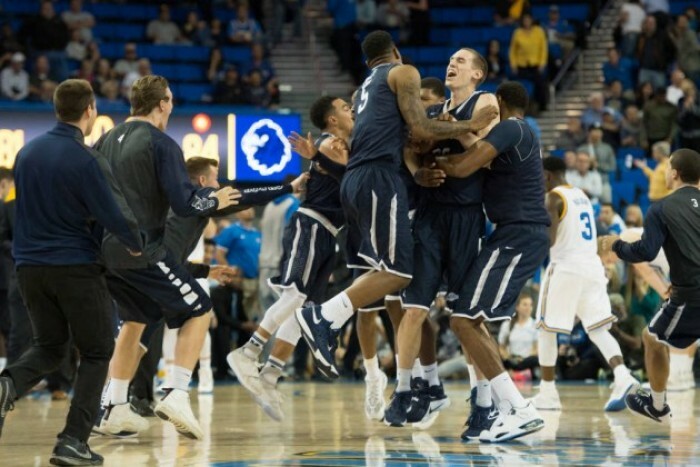 Monmouth had a great season, and their bench truly would have been a sight to behold in the NCAA Tournament, but as their wins over UCLA and Georgetown became less impressive and the bad losses were weighed, the committee disallowed the entry. 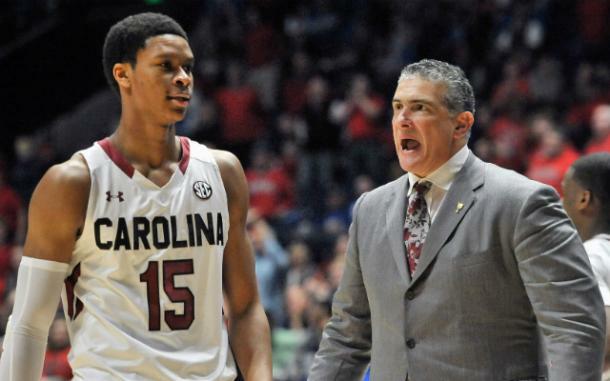 South Carolina was punished for their non-conference schedule, no doubt. The Gamecocks didn't lose a single non-conference game, but they only defeated one NCAA Tournament team (ironically, Tulsa). But the Gamecocks didn't lack big wins totally, knocking off a quality Texas A&M team in College Station, Texas. On the flip side, Frank Martin's team was plagued with ugly SEC-play losses, such as vs. Missouri, Tennessee, and Mississippi State. 3 losses to the NIT-bound Georgia Bulldogs also hurt the team's case. St. Bonaventure was rated as a lock by many bracketologists. The Bonnies did a lot for their case by ripping their way through the last 2/3s of Atlantic 10 conference play. They owned two huge wins over A-10 Tournament winner Saint Joseph's and an even more important victory over the Dayton Flyers. But all was not rosy for SBU's resume. A late-February loss to La Salle was particularly appalling to the committee, as well as a loss to Duquesne and a fall in the non-conference to Siena. The trio of bad losses murdered the Bonnies' bid. Saint Mary's, Valparaiso, Monmouth, South Carolina, and St. Bonaventure all had cases, but each one was thrown down by the selection committee for understable reasons. SDSU's bid, though, was hypocritically denied by the committee. The Aztecs had a great non-conference schedule, something the committee values. They matched up against Utah, West Virginia, and the Kansas Jayhawks. They also defeated the California Golden Bears. The Aztecs only had two questionable losses this year, to the San Diego Toreros and to the Boise State Broncos. 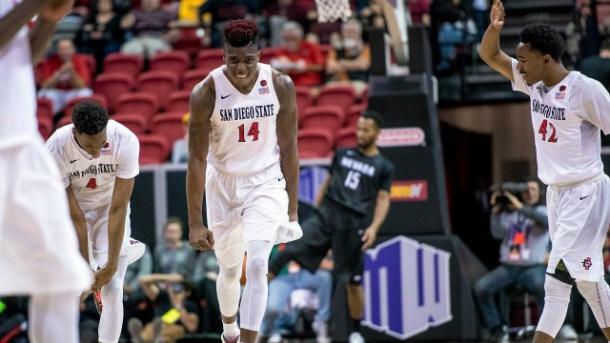 With that massive win over Cal and the utter dominance over Mountain West competition (except for Fresno State), the committee likely should have given the benefit of the doubt to SDSU. The teams that surpassed SDSU also had good cases. It goes to show the difficult job of the committee during this season. These resumes were exceptionally similar, and sorting through the numbers must have been painstaking. Although many will not send congratulations, the committee should be thanked for producing a quality bracket this year.